Reverse heart disease with antiaging principles. We know what causes heart disease, and ways to prevent heart disease. Following these principles for prevention is the best heart attack insurance you can get! There are several major types of heart disease. There are a number of other specific conditions which affect the heart but they can pretty much be grouped under the categories above. They are largely nutritional and lifestyle issues, and they respond to diet, exercise, and nutritional supplementation. While it's true that genetic issues can also be a significant factor in what causes heart disease, science has found that even gene expression can be very effectively modified by diet and exercise. The message here is that bad genes do NOT dictate your destiny! Heart Disease - How Do You Reverse It? Detoxification involves eating a diet with plenty of fresh fruits and vegetables, using nutritional supplements like antioxidants and heavy metal chelators, and using methyl donors to reduce homocysteine. Proper exercise is also needed to maintain metabolism and help the lymphatic system remove toxins from the body. Inflammation is minimized again by eating a healthy diet, avoiding foods which clash with your blood type or that you are sensitive too, and restricting sugar intake. Reducing stress and keeping cortisol from being elevated is important as well. Proper hormonal balance is very important to reverse heart disease here and this can be done under the guidance of an antiaging physician. Free radicals oxidative stress antioxidants in your food in the form of polyphenols and phytonutrients, as well as antioxidant supplements are another one of the ways to prevent heart disease. Antioxidants lower levels of inflammation, a key factor in what causes heart disease. Myopathy is literally caused by a heart where the cells can't make energy properly, so the heart is starved for energy. 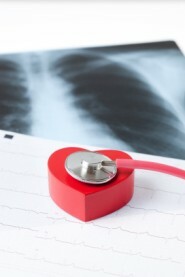 Lack of oxygen due to artery disease can also add to this problem. Of course a good diet is essential here, but there is a wonderful new nutritional supplementation approach called “Metabolic Cardiology” developed by Stephen Sinatra, that uses bioenergetic nutrients to feed your heart's cellular energy production. This groundbreaking approach to treating cardiomyopathy has given a tremendously improved quality of life and new hope for the future for many heart disease patients. It does this because it drastically improves energy production in the heart. That's it! Those four steps will put your on the right path. Reverse heart disease by reversing the bad lifestyle choices that led to it. Your body is remarkably resilient and will heal itself if you give it what it needs. 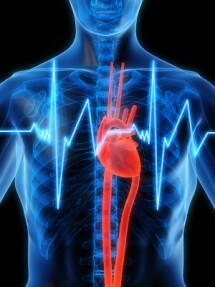 Seek the guidance of a qualified antiaging doctor to help you get your heart strong and healthy. Take care of your heart and it will take care of you for many long and healthy years!